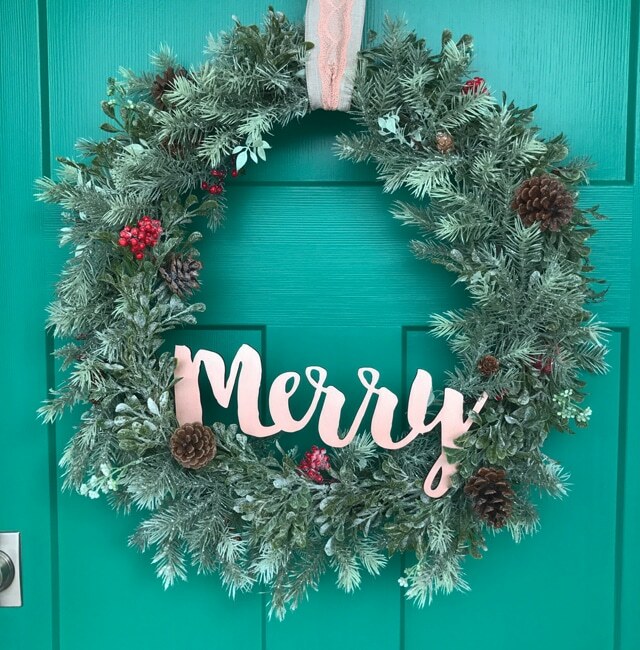 I’m sharing one of my favorite ways to make a DIY Christmas wreath today. 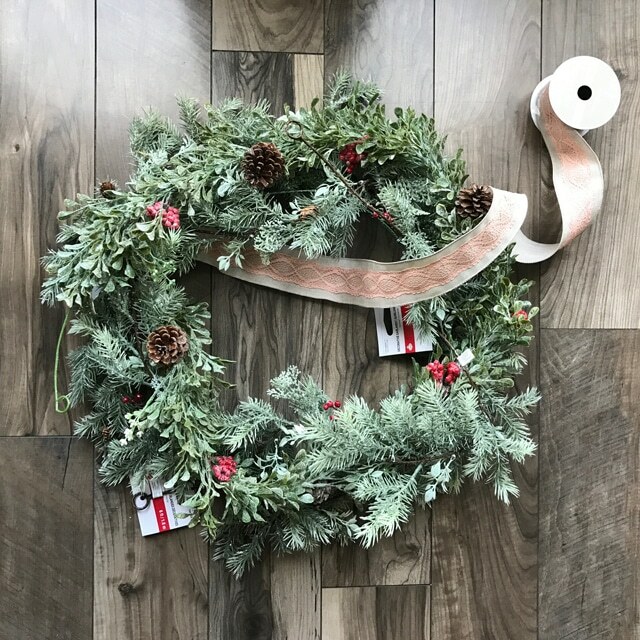 It’s so hard to find a pre-made wreath that is exactly what you’re looking for, am I right? And if you do happen to love it, you can bet it will cost a pretty penny! 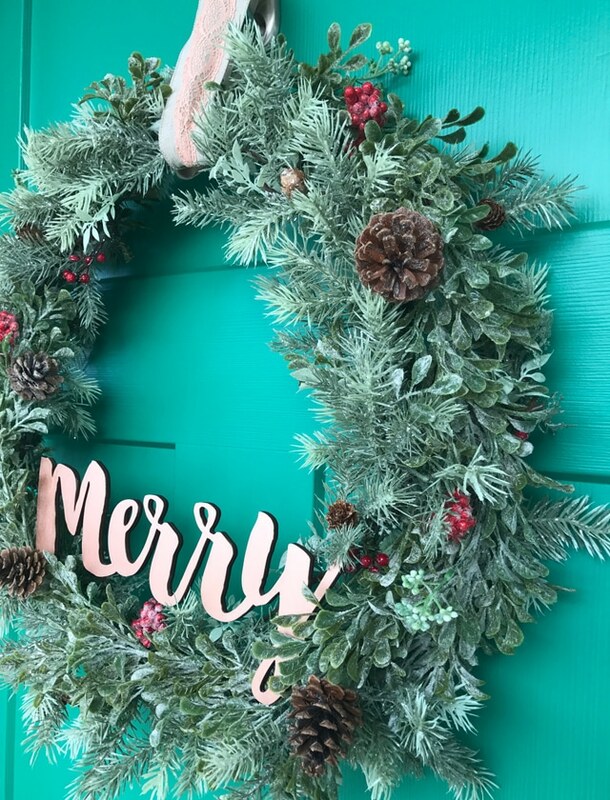 A simple way to make your own wreath is to use garlands and wire them on to a wreath form. That’s it! 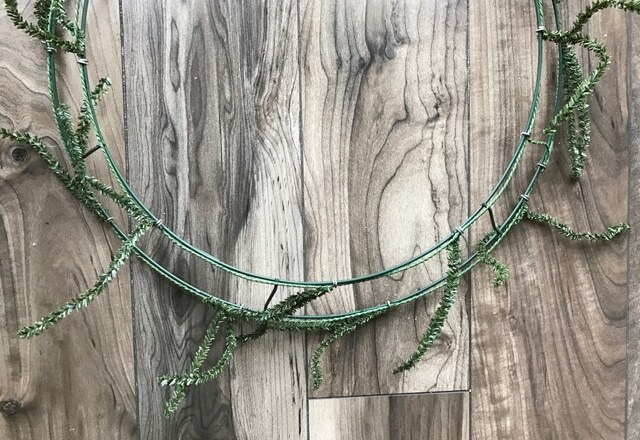 These wreath forms are really cool because you can just wire the garland on as you go. 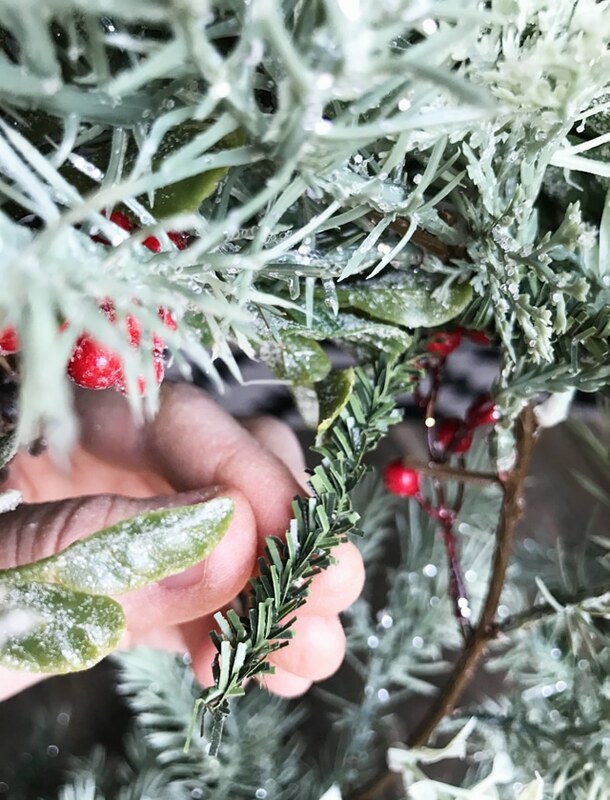 Just twist the attached “pine” wires to secure the garland to the form, then trim the ends when you are done. Once I had all of the garlands attached, I filled in a few “holes” by pulling a few end pieces off the garland here and there and hot gluing them in the gaps. 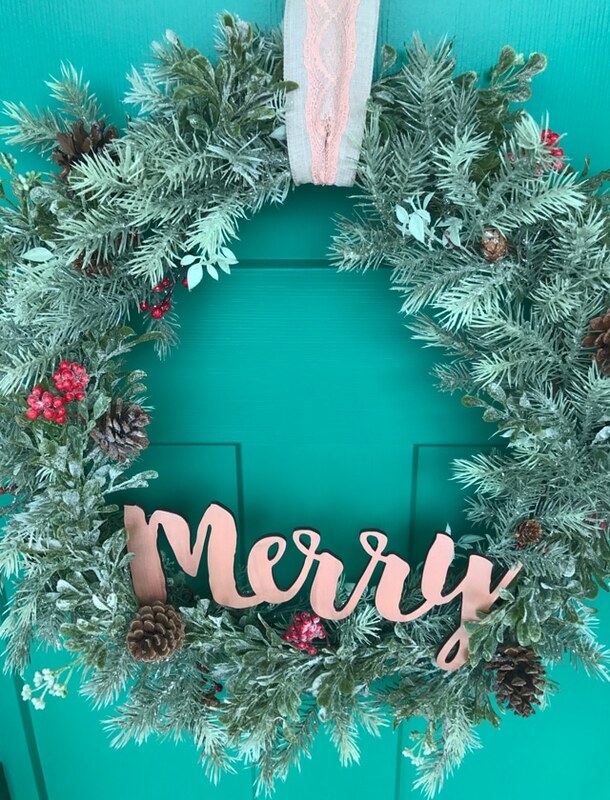 I also wanted to use this darling MERRY wooden sign I found at the Target dollar spot a few weeks ago. It was only $3, and they also had the words Noel and Joy. If you hurry, you might be able to find them at your local Target. 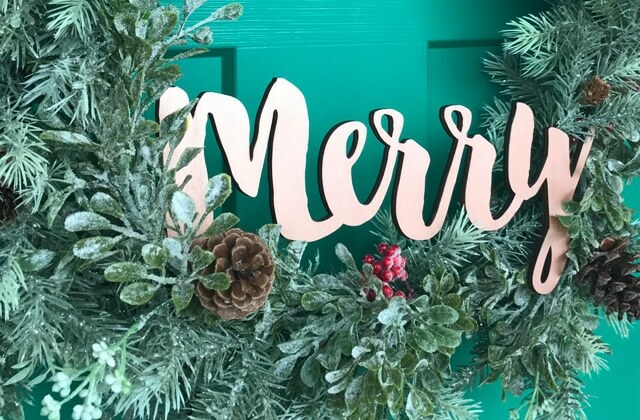 I painted the sign Rose Gold, to go with my Christmas decor this year. I’m using a lot of white, some accents of red, blush pink, copper, and rose gold. My tree turned out so pretty! I can’t wait to show you when I finally some pictures taken. I’m absolutely in love with the color of my door, it is Behr “Fairy Queen.” It is a gorgeous emerald green, with a hint of blue undertones. I definitely recommend it if you are looking for a pretty green for an accent piece in your home. And now I have a beautiful wreath to see every day when I come up to the house. 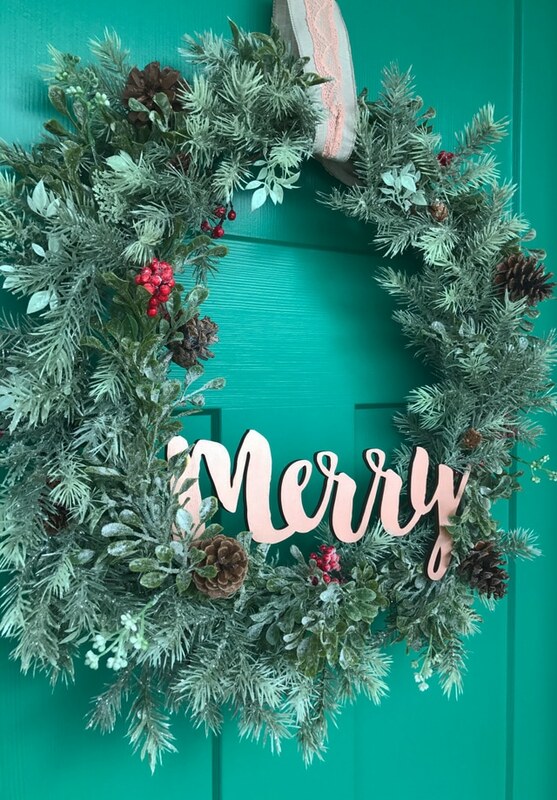 It was so easy to make, I helped my neighbor do one for her door, and we finished it up in less than an hour!